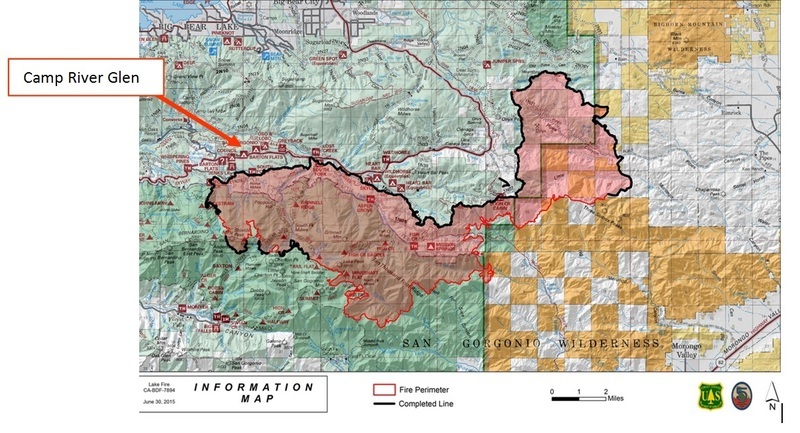 The fire has destroyed 31,000 acres in Barton Flats, but thanks to 2,000 heroic firefighters, UniCamp’s Camp River Glen was spared. 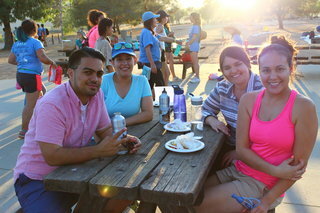 An extraordinary effort by UCLA UniCamp student volunteers has resulted in 2 weeks of camp held for 270 kids. •	Session 2 at Camp Mariastella – thanks to the Sisters of Social Service. Session 3 starts this Sunday, July 5th. Our nomadic adventure continues. We have miraculously secured a camp site in Big Bear. Our volunteers are ready, campers’ bags are packed…we are ready to go. But entering into our third week displaced from Camp River Glen, we don’t have the funds to proceed. The fire crews are still working to protect the Barton Flats area and flash floods are a grave concern. Before the Forest Service deems it safe to return, every day that we spend away from River Glen costs a great deal. However our program is too valuable to the lives of the young people it serves to simply throw up our hands and walk away. Please help!! We must raise $55,000 in the next 5 days to save Session 3 and not break the hearts of 135 kids. We need Woodsey magic now, more than ever. Please give as generously as you can. Please pass on the appeal to others you know. 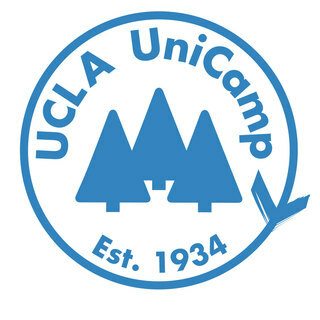 I would like to make this donation in honor of Monique Arrabit for being an awesome Counselor for Unicamp next week and to congratulate her on graduating from UCLA. Will enter for company matching fund program , a $250 donate check will be donated by Sempra energy foundation.